It is a frequently portrayed stereotype: a rather sad loner in the basement with headphones and a computer, living a virtual life in a virtual world because “real life” is just too hard. Colleen Crary, M.A. (Anya Ibor in Second Life®) is the executive director and founder of the nonprofit Fearless Nation. She will address mental health and quality of life in virtual worlds and beyond at the upcoming April 26, 2014 Mental Health Symposium. The Symposium is sponsored by Virtual Ability, Inc., and will bring together researchers, educators, clinicians, and experts representing a variety of backgrounds. Ms. Crary will bring her expertise and experience in educating, supporting, and advocating for the rights of people who have experienced psychological trauma to her presentation “Creating a Vibrant Life: Lessons from Adversity.” For her, and for so many, virtual worlds offer an extension of our real life, not an alternative. People can improve the quality of their current existence in any world by learning from those who have triumphed over adversity. Ms. Crary, a doctoral candidate in Psychology at Walden University, has her Masters in Forensic Psychology from the prestigious Chicago School. She has brought her expertise in psychological trauma and dealing with adversity to her work with the military and law enforcement communities. 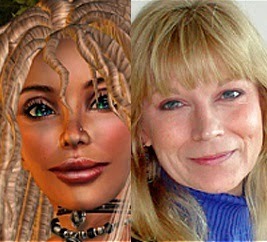 She is a long-time participant in virtual worlds, and understands how connecting with people virtually can bring profound meaning to life. 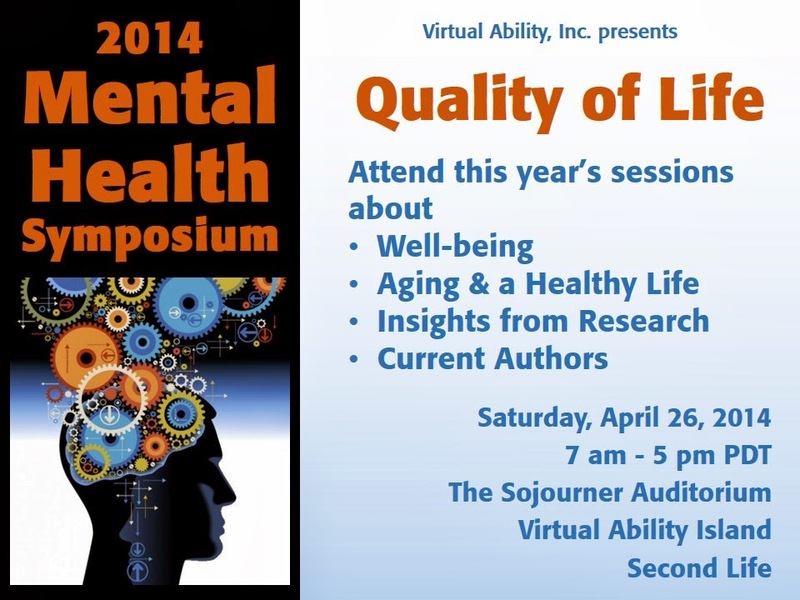 Virtual Ability is pleased to welcome Colleen Crary, and a number of other experts and researchers, to the 2014 Mental Health Symposium. The Symposium will be held in Second Life®. This international professional conference offers a variety of opportunities for learning and for personal and professional growth. It is free, ADA accessible, and open to the public. Sessions start at 7 am PDT and will be held at The Sojourner Auditorium on Virtual Ability Island Second Life®. See the 2014 Mental Health Symposium schedule.